The British couturier Hardy Amies is best known as Queen Elizabeth II's longest-serving dressmaker. Supported by a highly skilled team in the workrooms at Savile Row, Amies dressed the queen and a small clientele of aristocratic and wealthy women for half a century. His men's wear and international licensee business had a lower profile but were crucial to the financial viability of the company. The licensee business benefited from Amies's position as dressmaker to the queen and from his staff's expertise, but its success ensured the survival of the couture house. Edwin Hardy Amies was born in London on 17 July 1909. Although he had some knowledge of dressmaking through his mother's work as a saleswoman for Miss Gray, Ltd., a London court dressmaker, it was not his chosen career. He wanted to be a journalist and on the advice of the editor of the Daily Express went to work in Europe to learn French and German. Back in Britain in 1931 he joined W. and T. Avery, selling industrial weighing machines and hoping to be posted to Germany, but dressmaking was clearly his destiny. A chance letter describing a dress worn by Miss Gray led to the offer of a job as designer at Lachasse, a sportswear shop owned by Miss Gray's husband, Fred Shingleton. In late 1933, Amies was invited by Mr. and Mrs. Shingleton (Miss Gray) to join their party at a dance given in aid of the Middlesex Hospital. At Christmas 1933, Amies wrote a letter to Mlle. Louise Probet-Piolat (Aunt Louie), a friend of his mother, describing the dress worn by Mrs. Shingleton at the dance. Aunt Louie in turn wrote to Mrs. Shingleton, reporting "how vivid she found my description." Mrs Shingleton threw the letter across the table to her husband and said, "You ought to get that boy into the business in Digby Morton's place" (Amies 1954, pp. 52-53). Undeterred by his complete ignorance of practical dressmaking, Amies boldly grabbed the opportunity. Lachasse was set up in 1928 as an offshoot of Fred Shingleton's company Gray and Paulette, Ltd. The firm specialized in custom-made daywear designed for members of the British upper classes, who divided their time between London and the country. 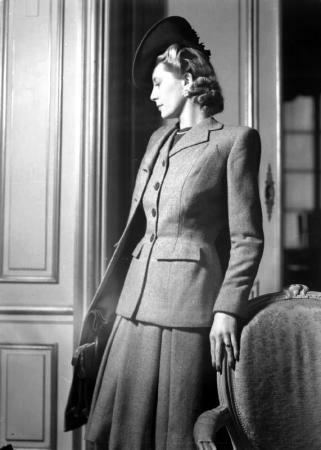 When Amies joined in 1934 he replaced the Irish designer Digby Morton, whom he credited with transforming the classic country tweed suit "into an intricately cut and carefully designed garment that was so fashionable that it could be worn with confidence at the Ritz" (Amies 1954, p. 54). Following Morton, Amies concentrated on producing stylish, feminine, tailored clothes. The year 1937 was a turning point. The April edition of British Vogue featured a Lachasse suit, and Amies made his first sales to U.S. buyers, in London for King George VI's coronation. Vogue praised Amies's facility with pattern and color but noted the comparatively static silhouette of his suits, which now incorporated the slightly low waist that became characteristic of his cut. This slowly evolving line was, in fact, exactly what Amies's customers wanted. They were looking for clothes that were in tune with fashion but that would blend with their existing wardrobe, that were smart but not ostentatious, and that were well cut, immaculately fitted, and hard wearing. Amies catered to this particularly English approach to dressing throughout his career. His customers at Lachasse included the society hostess Mrs. Ernest Guinness and the actress Virginia Cherrill. By 1939 sales at Lachasse had doubled but Amies's appeals to design in his own name were rebuffed. Restless and frustrated, he saw World War II as an escape. He joined the Intelligence Corps, transferring in 1941 to the Belgian section of the Special Operations Executive, where he rose to the rank of lieutenant colonel. Amies designed throughout the war, contributing to government-backed export collections and, after resigning from Lachasse, selling through the London house of Worth. He was a founding member of the Incorporated Society of London Fashion Designers and served as the society's chairman from 1959 to 1960. After demobilization, Amies set up his own house in November 1945 at 14 Savile Row, in the heart of London's tailoring district. Staff from Lachasse, Worth, and Miss Gray joined him, bringing their clients and skills and enabling Amies to establish a reputation for all-around excellence. Although nearly forty, he was considered young in couture terms. Amies played on this, promoting himself and his house as vigorous, youthful, and progressive. In 1950 he was among the first London couturiers to set up a boutique line aimed at export buyers, selected provincial retail buyers, and the general public. Within two years the new business was half the size of the couture business. In 1950 Amies received his first order from the future Queen Elizabeth II. In 1955 he successfully applied for the coveted royal warrant, which he held until his death. Norman Hartnell was still the queen's premier dressmaker but Amies's position at the top of his profession was secure. Designing for the queen gave him international standing, attracted prestigious clients, and guaranteed his own personal acceptability in the highest echelons of society. He later designed for Princess Michael of Kent and Diana Princess Of Wales. "I understand and admire the Englishwoman's attitude to dress …just as our great country houses always look lived in and not [like] museums, so do our ladies refuse to look like fashion plates" (Amies 1954, p. 239). Amies entered the men's wear market in 1959, when he designed a range of silk ties for Michelson's. During the 1950s the preference of young adult men for more informal, body-conscious clothes and the popularity of American and Italian styles persuaded British manufacturers to reformulate their image and product. 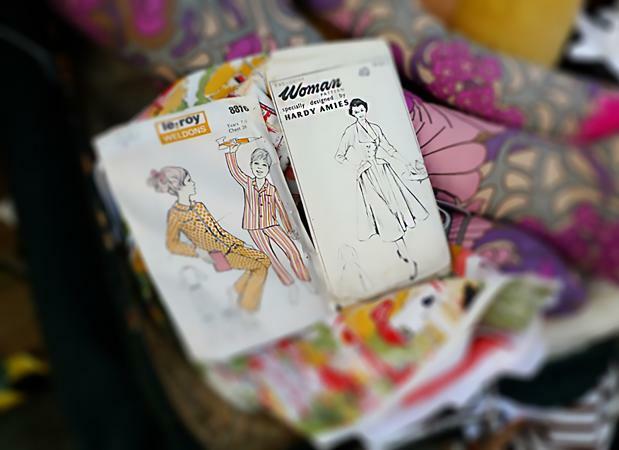 Hepworths, a middle-market multiple tailoring group, approached Amies. His first collection for Hepworths in 1961 was designed "to make the customer feel younger and richer than they were, and more attractive" (Amies 1984, p. 68). His designs were never cutting edge but formulated to attract a broad customer base. By 1964 the annual sales of his men's wear was about £15 million, compared with £0.75 million for women's wear. His collaboration with Hepworths led to a string of licensee agreements selling men's wear and some women's wear across the globe from the United States and Canada to Australia, New Zealand, Japan, Taiwan, and Korea. As Amies dedicated more time to the licensee business, the women's wear design was taken over by his codirector, Ken Fleetwood (d. 1996). Amies sold Hardy Amies, Ltd., to Debenhams in 1973 to develop a ready-to-wear business but bought the company back in 1980. Hardy Amies was appointed a Commander of the Victorian Order (CVO) in 1977 and honored with a knighthood in 1989. He was elected a Royal Designer for Industry in 1964. He received the Harper's Bazaar Award in 1962, the Sunday Times Special Award in 1965, and the British Fashion Council Hall of Fame award in 1989. He sold Hardy Amies, Ltd., to the Luxury Brands Group in 2001. Amies died on 5 March 2003. See also Diana Princess of Wales; Haute Couture; Savile Row; Travel Clothing; Tweed. Hardy Amies. Just So Far. London: Collins, 1954. Detailed account of the first ten years of the house of Hardy Amies, and considers London fashion in relation to Paris. --. Still Here: An Autobiography. London: Weidenfeld and Nicolson, 1984. Covers Amies's involvement in menswear and the development of his licensee business and his work for Queen Elizabeth II. --. The Englishman's Suit: A Personal View of Its History, Its Place in the World Today, Its Future, and the Accessories Which Support It. London: Quartet, 1994. Describes the evolution of the suit and Amies's taste in menswear. Cohn, Nik. Today There Are No Gentlemen: The Changes in Englishmen's Clothes since the War. London: Weidenfeld and Nicolson, 1971. Ehrman, Edwina. "The Spirit of English Style: Hardy Amies, Royal Dressmaker and International Businessman." In The Englishness of English Dress. Edited by Christopher Breward, Becky Conekin, and Caroline Cox. Oxford: Berg, 2002. Considers how Englishness informed Amies's style and how he used his association with Englishness as a marketing tool.